With the preferential treatment of sugar going into the European market from developing countries ending in 2017, there will be a number of challenges for the Fijian sugar industry. One of the biggest will be the prices are expected to go down as there will no longer be the protection for certain price levels. 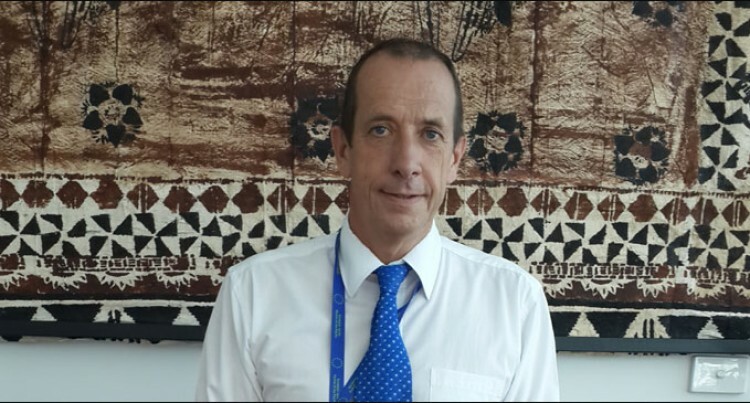 The European Union Ambassador for Pacific, Andrew Jacobs, said with market prices going down, competition will then be in terms of quality. But he feels Fiji already has an advantage in terms of the quality of the Fijian sugar. “I think the Fijian sugar already has the advantage of quality. Good advantage is being taken of the fair trade label which guarantees that sugarcane has been grown and processed under certain conditions,” he said. Mr Jacobs highlighted while Fiji already has a good reputation, it is also important that the Fijian market is able to become more competitive to ensure better productivity so it can really compete. “I don’t know how the new prices will be as it will all depend on the market but there will be no interventions to keep the price artificially high,” he said. Mr Jacobs said the move came as the European Union was obliged by the World Trade Organisation to stop the preferential treatment of sugar coming from the developing countries. Nevertheless, Mr Jacobs said he is looking forward to working more with the Fiji Sugar Corporation and others to ensure that Fiji does take advantage of the market opportunities that are going to be there. He said he did not know which countries Fiji would be competing against but, he explained that within the European Union there are sugar growers who will also be competing in the same market. “But I am confident that Fiji will certainly continue to enjoy very good position in the European market,” Mr Jacobs said. Given that now Fiji has a democratically elected Government led by Prime Minister Voreqe Bainimarama, the EU’s direct assistance to the Fijian Government, which had seen restrictions implemented in 2007, is expected to recommence. Mr Jacobs highlighted there were a number of ways the EU managed to assist the sugar sector over the past seven years. But, he feels there is more they can do now working with the Government. “In the past few years we have provided a lot of support to those working in the sugar industry. For example alternative livelihoods alongside income from sugarcane,” he said. “We have been working with the Sugar Research Institute of Fiji and a lot of what we have done has helped to ensure those working in the industry have a brighter future. Whilst there is still a little over two years left of the preferential access to end, what was important for Fiji was to ensure it continued its exports with quota free market access. Therefore, Fiji’s provisional application for the interim Economic Partnership Agreement in July saw our exports such as sugar, fish, garments and processed food continuing to enter the European market with preferential market access. Mr Jacobs said they are now looking forward to the ratification of the interim EPA by the Parliament now that the parliament is going to be sitting. In terms of the comprehensive Economic Partnership Agreement for the region, Mr Jacobs said discussions are ongoing which expectations of meetings coming up in the next few weeks. “Perhaps there will be a video conference to get a clear understanding of where things are that still needs to be overcome,” he said. “But certainly the EU is very much committed for going ahead with the agreement. Which areas will you look at in terms of development assistance for Fiji? I think it is too early to say which areas there will be assistance in. We need to sit with the new Government and discuss with them where they feel we should be providing them with support. It is not up to the EU to come and say we will give money in this sector and that sector. Government will have a clear view as to where the priority will be. I am hoping to meet with the ministers and focus on which areas we can look at very soon. But, the EU is not the only development partner which will be stepping up to assist Fiji. I know there will be others doing the same thing. So it will be up to us to divide the labour. We do not want to be tripping over each other to provide support in the same sectors. So I look forward to hearing from the authorities on what feel the different development partners should be doing so we maximise potential of our support. What sort of potential do you see for Fiji? I think Fiji clearly is one of the key players within the Pacific. There are a lot of opportunities for Fiji both to increase economic benefits from working with the other Pacific countries but also to work on markets further away. It is a privilege to have been here in the past few months with the process of the return to democracy and we very optimistic about the future of Fiji and the relations of EU with Fiji. It is a very good time to be here.